This is where a lot of us came in. Once again, some demanded the courts rule not for strictly legal reasons but for social and/or economic ones. And once again, the purported aim of these social engineers was to protect us from our own worst impulses. Prohibition, too, was going to produce a new and more idealistic generation freed at last from the grip of Demon Rum -- yet strangely enough much the same rationale was used years later when all of the evils Prohibition had produced were going to be cured by repealing the very same constitutional amendment these reformers had inspired. H.L. Mencken, who was no legal scholar but just a newspaperman, had seen it all coming, and warned against it. "Democracy," he was quoting as having said, "is the theory that the common people know what they want, and deserve to get it good and hard." And once again, supposed legal scholars have been reduced to arguing not about the law but socio-economic policy. To quote the majority opinion of the Supreme Court of the United States penned by His Honor Samuel Alito as he summed up the arguments of both sides in this disputation over the wisdom of allowing Americans to bet on the outcome of sports: "Supporters argue that legalization will produce revenue for the states and critically weaken illegal sports-betting operations, which are often run by organized crime. 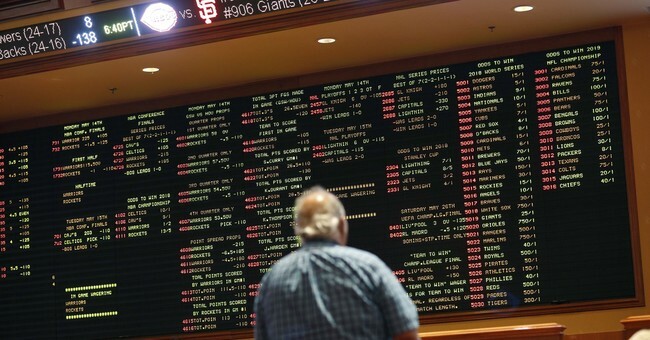 Opponents contend that legalizing sports gambling will hook the young on gambling, encourage people of modest means to squander their savings and earnings, and corrupt professional and college sports." But all that argumentation, Justice Alito notes, is and should be beside the legal point. Yes, the law can be a great teacher, but when it ceases to be a teacher and becomes only an enforcer of the ideological fashions of the times, it fails in its essential function, which is not to make policy but law. It's as if the referee of a game were to toss aside his neutrality and join one team or another on the field. Referees are regularly accused of forsaking their duty to render fair and impartial judgment, but why make that vice a virtue? These days the country's Supreme Court often seems divided nine different ways against itself. And bogged down in essentially irrelevant considerations. But in his majority opinion, Brother Alito points out that while the "legalization of sports gambling requires an important policy choice ... the choice is not ours to make. Congress can regulate sports gambling directly, but if it elects not to do so, each state is free to act on its own." Well said and well decided. For here is a decision that embodies what used to be celebrated as judicial restraint, states' rights and various other judicial and judicious qualities. Not since the late great Antonin Scalia has a member of the nation's highest court rendered a decision so worthy of praise -- and emulation. Despite occasional lapses, the country's highest court remains its most trustworthy. God save this honorable court -- and continue to bless America.